And the debate never finishes, whether the equality between men and women; or who drives best? 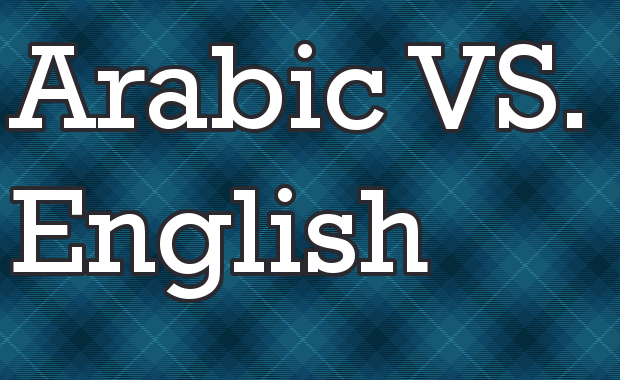 Or even in social media, which language do users use often the Arabic or the English language? Taking into consideration the young-hip generation and how each individual is trying to be fit and ‘cool’ I had to talk to university students. And know where they stand when it comes to usage of language on social media. Layal Karnib is a Nutrition student at the Beirut Arab University; she’s active on twitter mainly, for she deactivated Facebook. The reason behind it, she thinks that it’s a waste of time, there’s no benefits in that area in the meantime. ‘Personally, I’m very influenced by the Arabic literature. I enjoy reading books in the Arabic language, but when it comes to the English language I barely finish the first ten pages of any novel. Ironically as it may sound, though I’m very attached to the Arabic language I use social media in English,’ Layal said. She believes that using social media in English is more flexible, even more than French. In English people can always use the slang language which maintains the flow of exchanging information, news, and ideas. ‘Regarding the Arabic language, in my point of view is being deteriorated, because of the wide usage of social media in English. This focus is affecting the Arabic language by which our English communicating skills are getting stronger and more enhanced,’ Layal stated. But the debate doesn’t stop here, though a lot might agree with Layal or nonetheless do apply the usage of English more than the Arabic language. But according to Joelle Sabra psychology major student at American University of Beirut, she seemed determined to fight for the Arabic language. Joelle is active mostly on Facebook and Twitter where it depends on the use of language. This is connected to the fact that she uses both languages. ‘No matter how much the Lebanese people are deviating from the proper usage of the Arabic language I don’t think that it will ever be deteriorated. The Arabic language is very old in which its spread worldwide. An important factor is that I have noticed on social media be it Twitter or Facebook that other Arab people highly use it,’ Joelle said. And there’s a fact to that issue that sometimes some people find it more appropriate to express themselves in the Arabic language. While the debate lingers on, on Twitter Joelle finds it easier to express her ideas in her own language which is the Arabic one. Because the Arab people are concerned with their nationality as Arabs, Joelle seemed alert to deliver a message to the Arab world and especially the Lebanese people. ‘In order for Lebanese people to fit in, that does not by any reason mean, that they should refer to using the foreign language over our own Arabic language in expressing ourselves. I think that people should start having more value to the Arabic language,’ Sabra said. What language do you prefer to use on Social Networks? Let us know. Register to receive our newsletter to stay updated with all news from interactive ME.